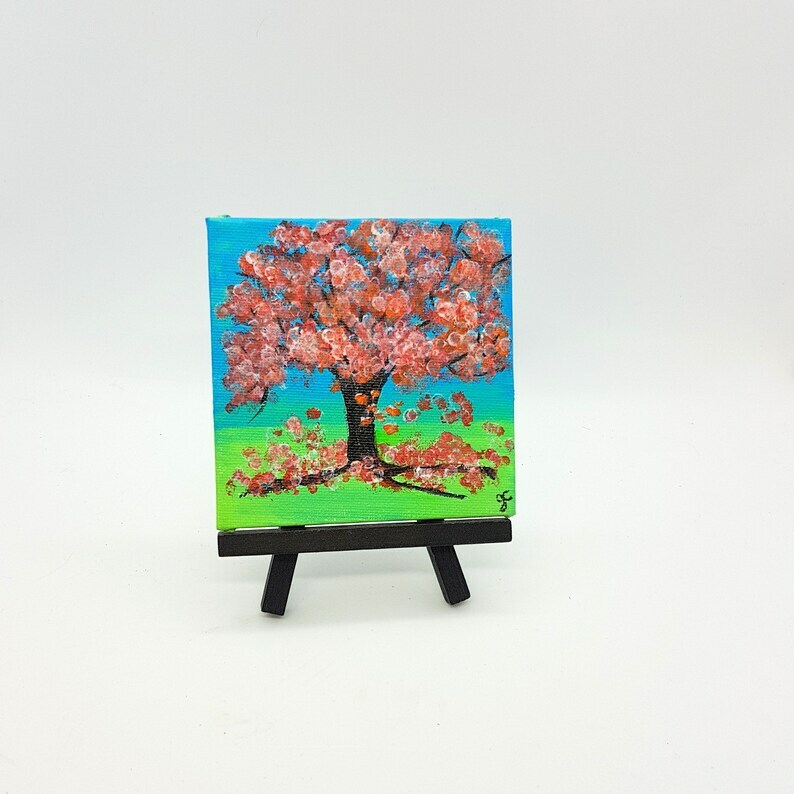 Boom - it's Spring with this Miniature acrylic painting of a Cherry Blossom Tree!. 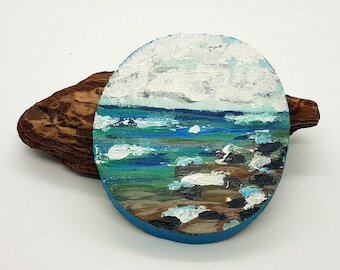 Measures 4 x 4 inches (10 x 10 cm) Original painting by Jen Curtis. This listing is for the art piece shown in the first 5 photos - Photo 6 is a Cherry Blossom tree painted on live edge cedar, all other photos are of different listings available separately... thank you! This Cherry Blossom tree is painted with a mixture of pinks, oranges, reds with white for the blossoms and a background of light blue and green. The cherry blossom tree trunk has been done with blacks and browns. Mini Art piece - does not come framed - shadow box frames are available at craft and framing shops! You can purchase the black easel shown in the photo`s - please choose that option in the drop down box, thank you! 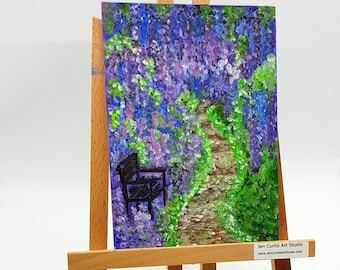 Please note that I have taken some photos outside in Natural Light and some inside (on easels) so you will see a variance in the colors. 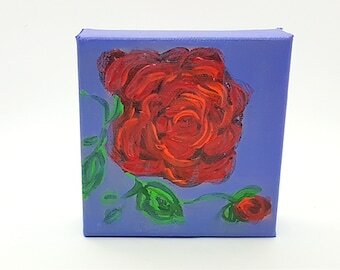 ~ Each piece has my initials on the front and is titled and dated on the back.